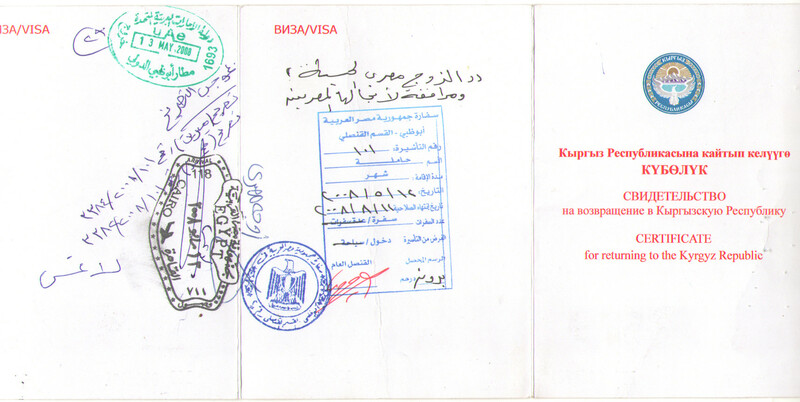 Because of lost passport the embassy in UAE gave me a certificate valid for one month for returning to Kyrgyzstan only but I got visa on it to enter Egypt and I travel from UAE to Egypt. After 5 years I was told that all this action was against the law ? My Question is IF THE EGYPTIAN IMMIGRATION SAY THIS ACTION IS WRONG AND MOST EMBASSIES SAY THIS ACTION IS WRONG SO I NEED TO FIND IT IN THE LAW SO I CAN TAKE LEGAL ACTION , I need OFFICIAL ANSWER so i can start my LEGAL Action ? Browse other questions tagged visas passports legal paperwork egypt or ask your own question. Is it possible for a Schengen country to advise the US to cancel/revoke a valid visa?